When Alex Drummond stepped out his front door on the evening of his anniversary, January 26, 1996, he never imagined it would be 12 long years before he would see his family again. 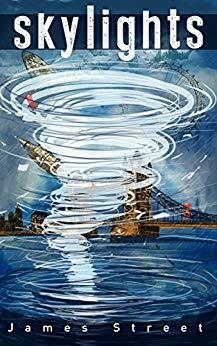 But under a dark and stormy London sky, Alex falls victim to a series of events that irreparably change his life’s path forever. His memory gone, he struggles through the night, searching for answers while his family searches for him. 12 years later, when the door to his past is violently blown open and his memories come flooding back, Alex must fight to come to terms with his unexpected new life as he toils to discover what is left of his old one. To Alex, it’s still 1996. What has become of his family? Who are these people who know him as Jack? A new wife, a new daughter, his amnesia now reversed, Alex must put the pieces of the puzzle back together while he still has time to do so. $2.99 on Kindle.